According to the American Geosciences institute, a castle, in the geologic sense, is a natural rock formation bearing a fancied resemblance to a castle – sophisticated science, I know! 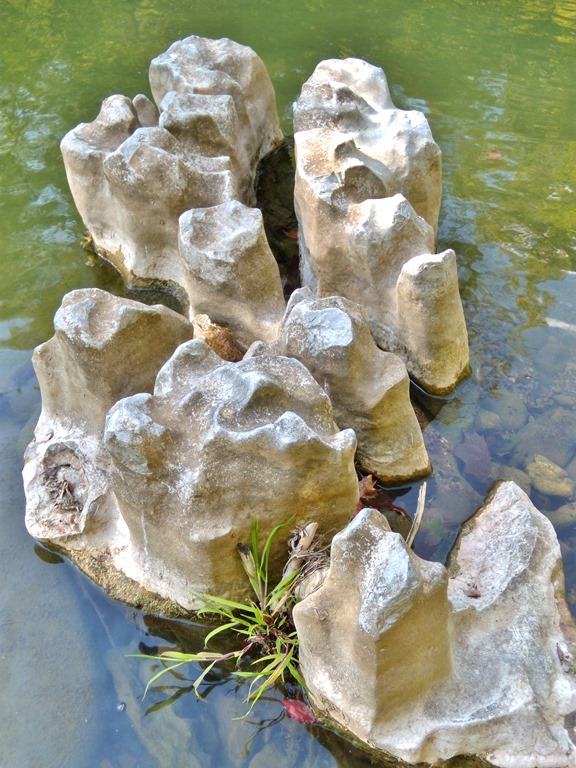 The limestone boulder pictured above, which is from north central Arkansas, is one such castle. Rocks like this one owe their appearance to their solubility in weak acid. Most rain water is actually slightly acidic, due to the CO2 it absorbs from the atmosphere and soil it passes through. 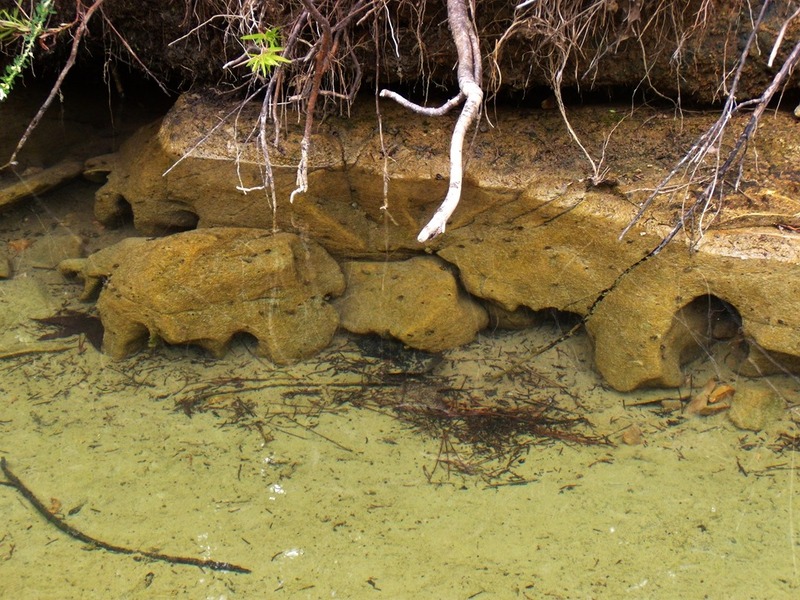 Over time, this acidic water is capable of dissolving limestone bedrock into features such as caves, sinkholes, and, in this case, castles. The boulder pictured here has been flipped over by the creek’s current; they typically form with the castle side down. below is an example of a castle that is still forming. The base of the rock dissolves faster than the upper part, because it is under the water more often. This differential weathering is what gives the boulder its characteristic castle shape. 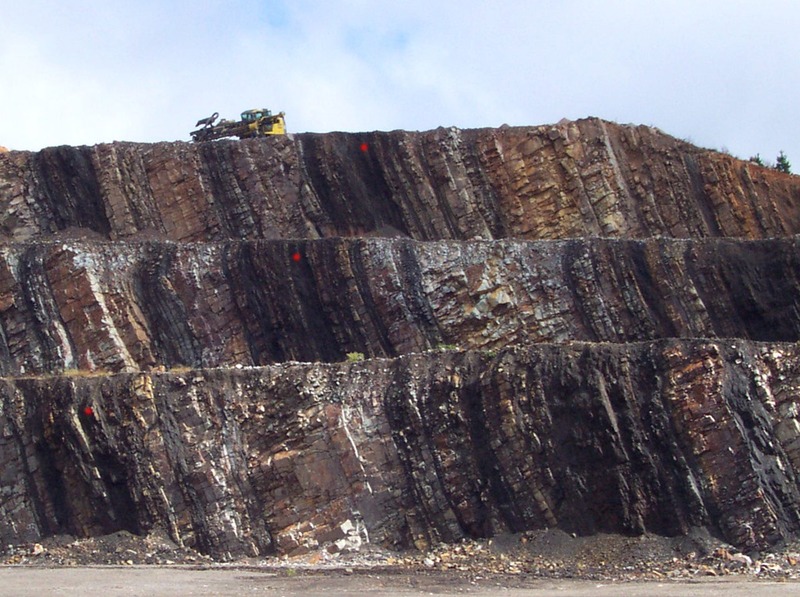 This entry was posted in #geoblog, GeoPic of the Week, Sedimentary Features and tagged Arkansas, Castle, Castle Rock, Differential Weathering, Geology, karst, limestone on August 31, 2016 by argeology. Pictured above is a Loess doll, collected from Crowley’s Ridge in the Mississippi River Valley, eastern Arkansas. 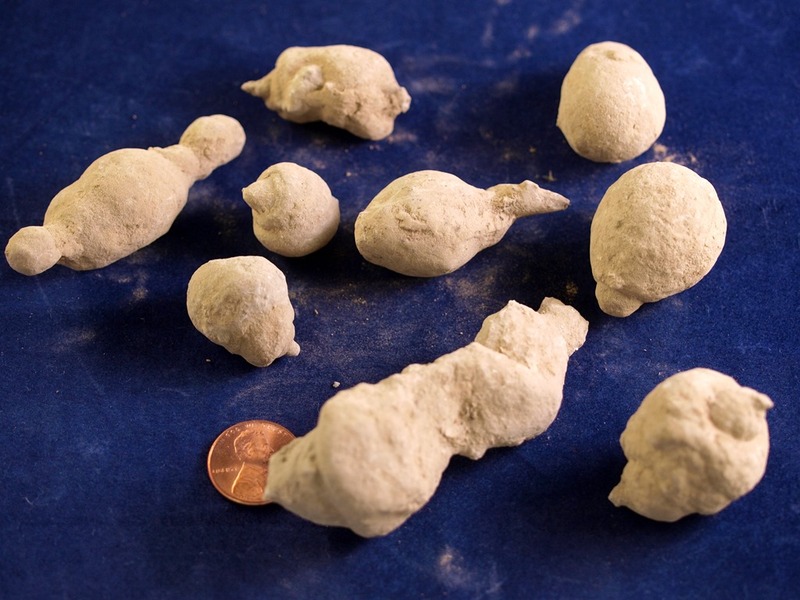 A loess doll is a type of concretion, or chemically precipitated mineral mass. They grow in deposits of wind-blown sediment, known as loess, by a process of leaching and concentration of minerals within a soil. They typically form by nucleating around a particle in the loess, such as a fragment of a fossil. 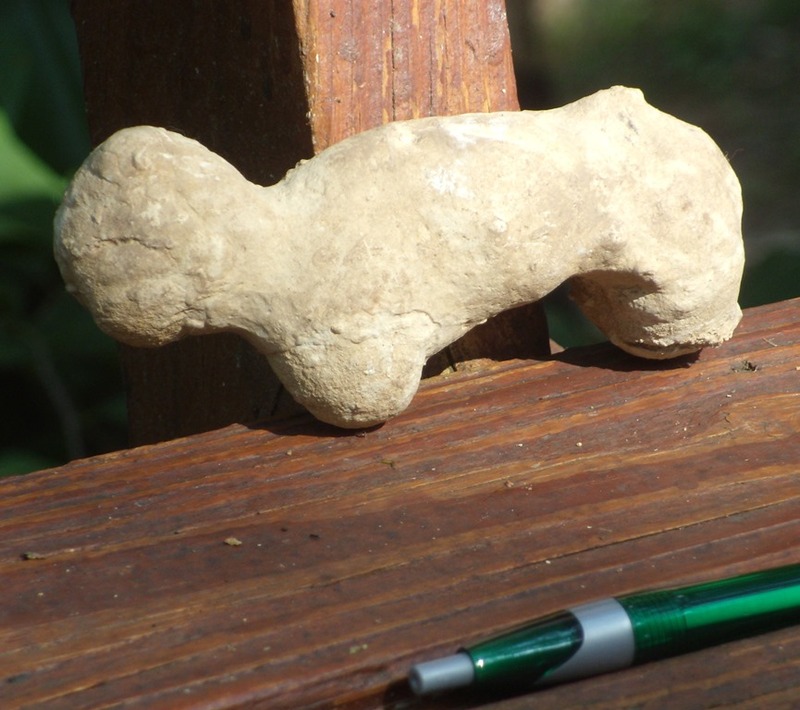 They were given the name loess doll due to the whimsical shapes these concretions take, which sometimes resemble people or animals; the one above looks like a lamb to me. Aside from their charm, they are important to geologists because they’re associated with buried soils, or fossilized soils, which are useful markers for correlating land surfaces across large areas. This entry was posted in #geoblog, Sedimentary Features and tagged Arkansas, concretion, Crowley's Ridge, Loess, Loess doll, Mississippi River Valley on August 18, 2016 by argeology.